Okay, not wetness all around. Saturday when I went out to the Mermaid Parade in Coney Island wasn't actually wet, just the theme was wet. 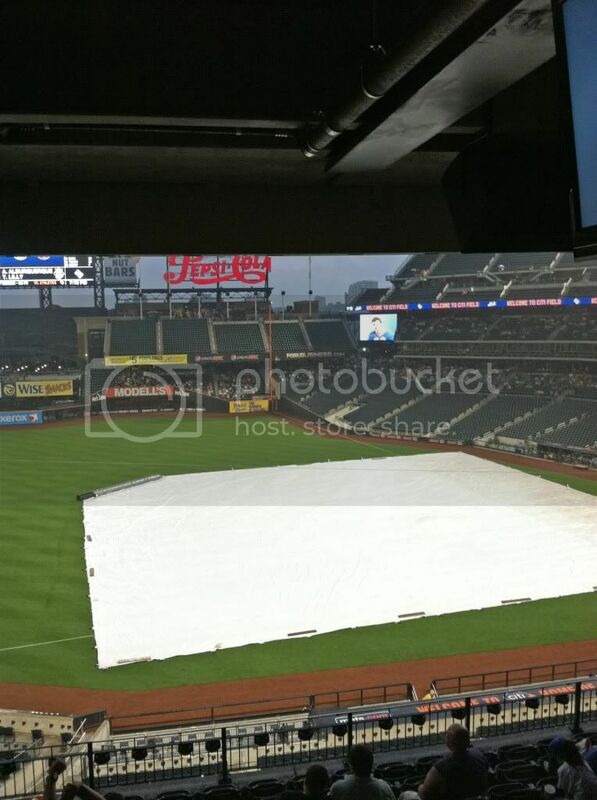 But Wednesday when I went to a Mets game was wet. Now I am not a big Mets fan, and certainly not a Yankee fan. I still stick to my roots when it comes to baseball and root for the Twins. I do pull for the Coney Island Cyclones, though. 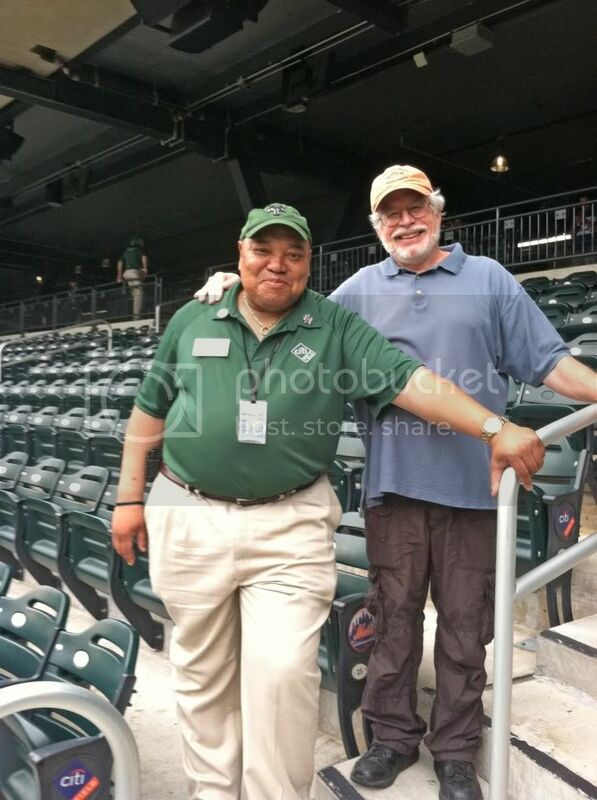 But my friend Bernie, who works as an usher at Citi Field, won an employee of the month or of the week or some such thing award and got some free tickets. And he graciously gave the Mysterious Chinese Woman and I a couple. We got there pretty early so we could look around a bit, but we ended up having a lot of time to kill because there was a rain delay. Must be me because there was a rain delay at the Coney Island Cyclones/Staten Island Yankees game I went to recently as well. 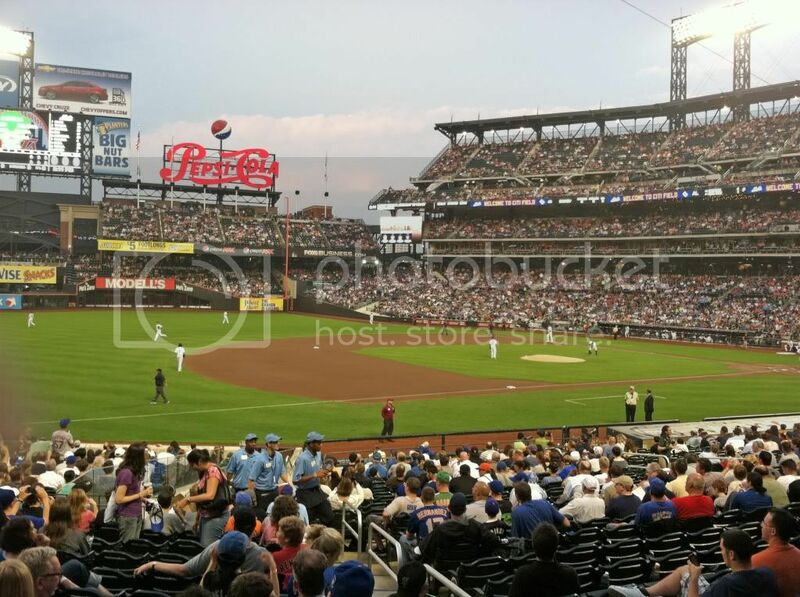 But Citi Field, to me at least, is a far superior ballpark compared to Yankee Stadium. It just seems much more open and customer friendly. Plus they have some pretty nice bars. And it didn't take me long to find one. I settled in pretty good while waiting for the game, which did eventually start. And we had great seats. I wish I could tell you we stayed for the whole game, but we didn't. It went into extra innings with the Mets winning in thirteen. I think I was home sleeping by then. 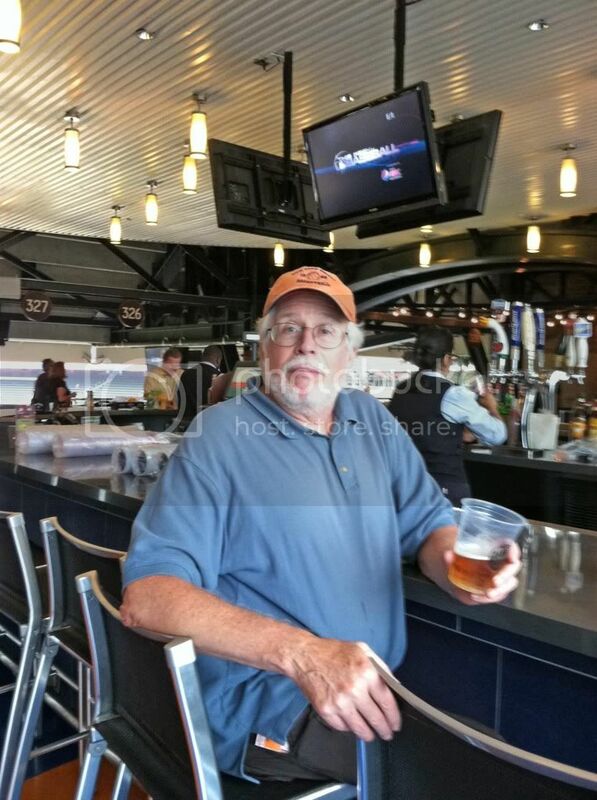 But again, thank you Bernie, we had a great time and I enjoyed seeing Citi Field. 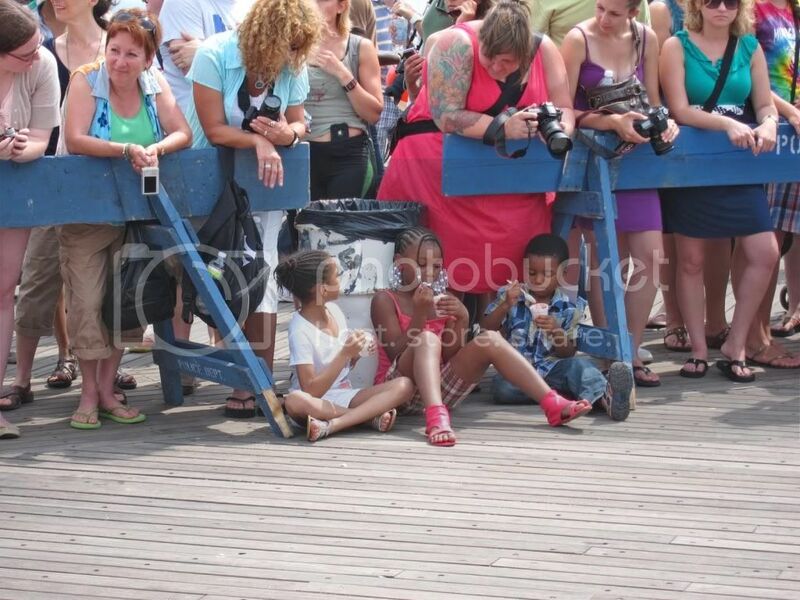 As for the Mermaid Parade, well not so much fun. It is just getting to be too damn crowded. And they do a miserable job of managing the foot traffic. The whole parade route this year (it seems to change all the time) was like a narrow "U" that went down Surf Avenue then hooked up to the Boardwalk and ended up just about parallel to where it started. But during the parade there is no way to cross the parade route, even though there were long breaks between the groups parading. This means everyone was more or less trapped inside that narrow "U" unless you went all the way out to the begining of the parade route. It got to be downright claustrophobic. 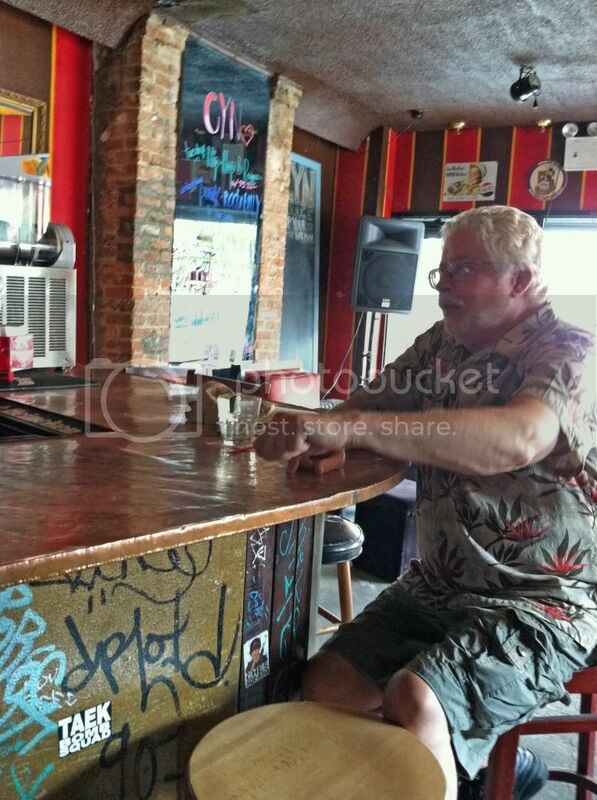 I did manage to squeeze up to the bar at Ruby's to pay $8 for a small Tanqueray and Tonic in a plastic cup. 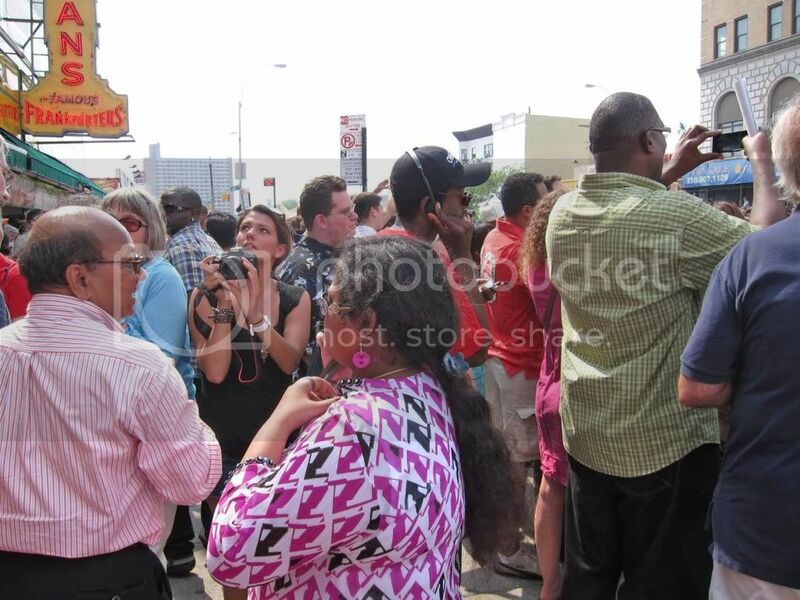 One good thing about the parade is that they don't seem to mind you being on the boardwalk with a drink in your hand. We stayed for about an hour and then tried to find somewhere it wasn't too packed. There wasn't anyplace to sit at Freak Bar and, of course, one of the bathrooms was out of order so there was about a 45 minute wait to use the one that was still open. We decided to hit Footprints. These are the crowds you had to brave just to get out of the parade area. It was pretty intense with people starting to holler at the cops to let them across and a bit of the forbidden pushing and shoving begining to take place. We did manage to escape and hit Footprints, but that place was packed as well. At least we could get into a restroom. Couldn't squeeze up to the bar, though. 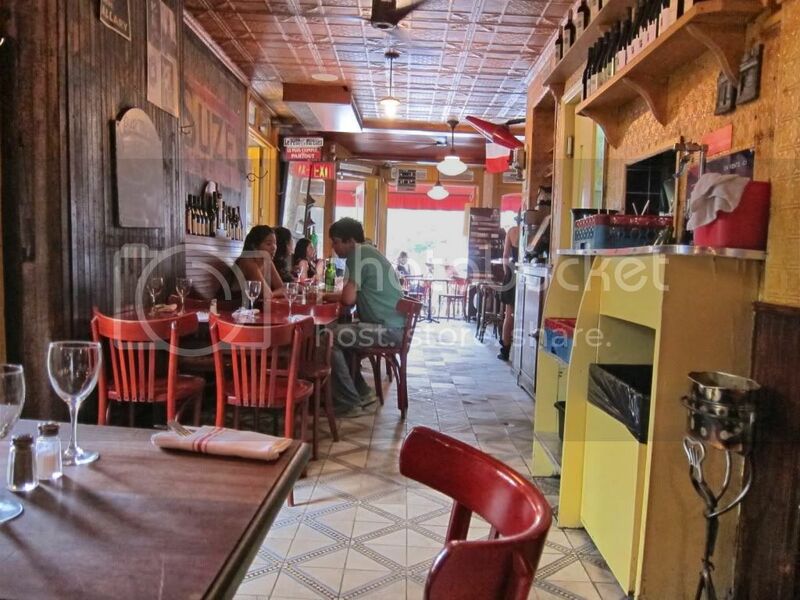 We just headed on back to Downtown Brooklyn and popped into Bar Tabac for a bottle of wine and a bowl of mussels. 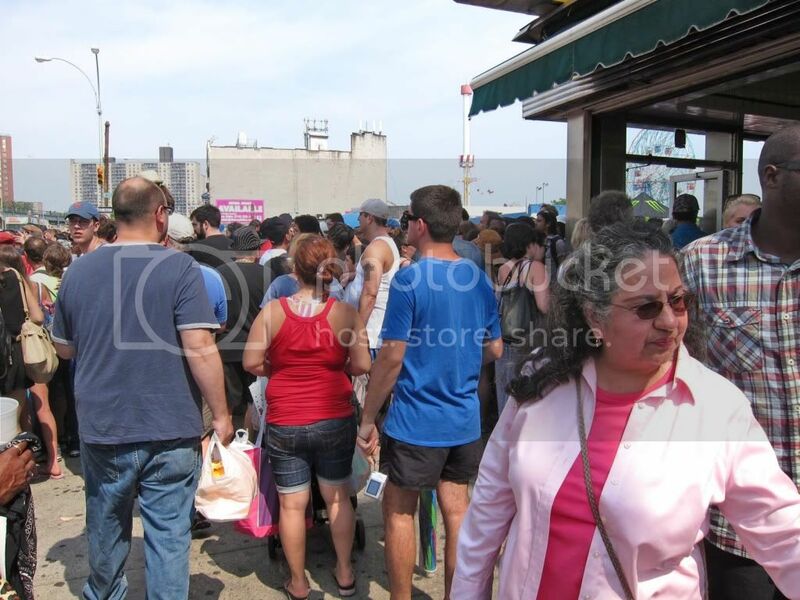 I will have to say that Coney Island was looking pretty good with the new rides and a flea market going strong. 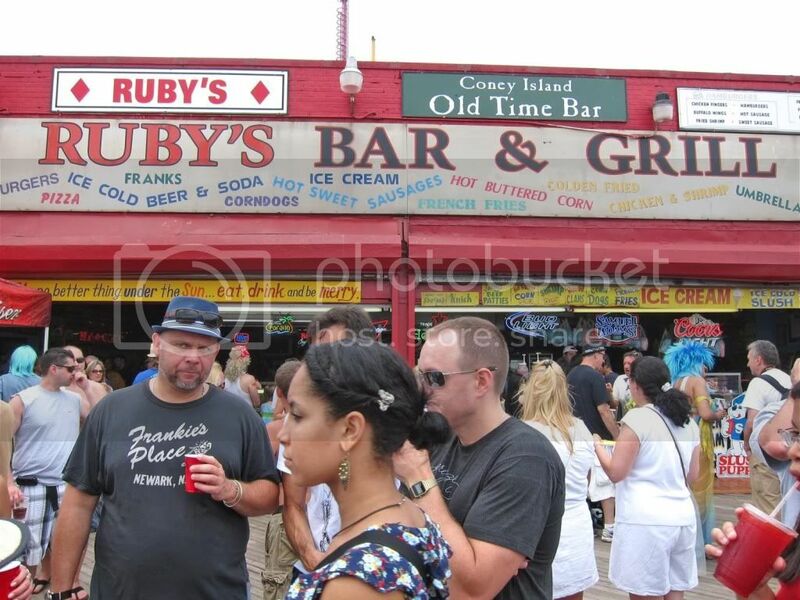 It will be interesting to see what next year brings when Ruby's and Cha Cha's and the Beer Beach are scheduled to go. Shortly after midnight on Sunday the Mysterious Chinese Woman, a Mysterious Sister-In-Law and I will be heading off to Cuenca, Ecauador. Probably no more posts for a few days, but I should be putting stuff up while I am there, so stay tuned. I did go to the Mermaid Parade on Saturday. Didn't spend too much time there because it was really crowded. It gets more and more crowded every year. But more on that in my next post. Let me just finish up my trip to Williamsburg here. 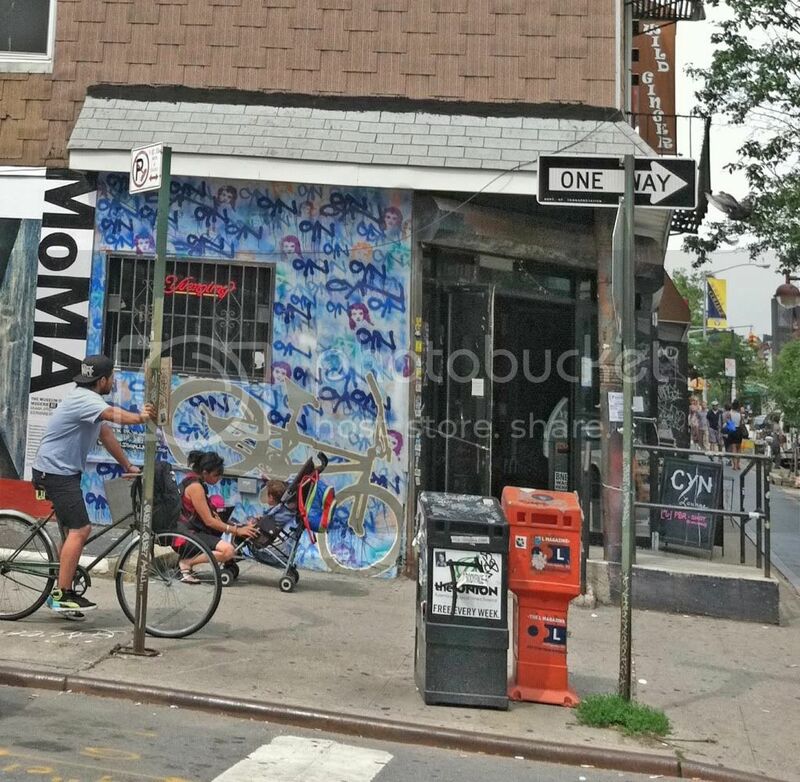 After we left Fatty Cues we walked along Bedford Avenue through the heart of Williamsburg. We passed a few of the newer bars before spotting Cyn. 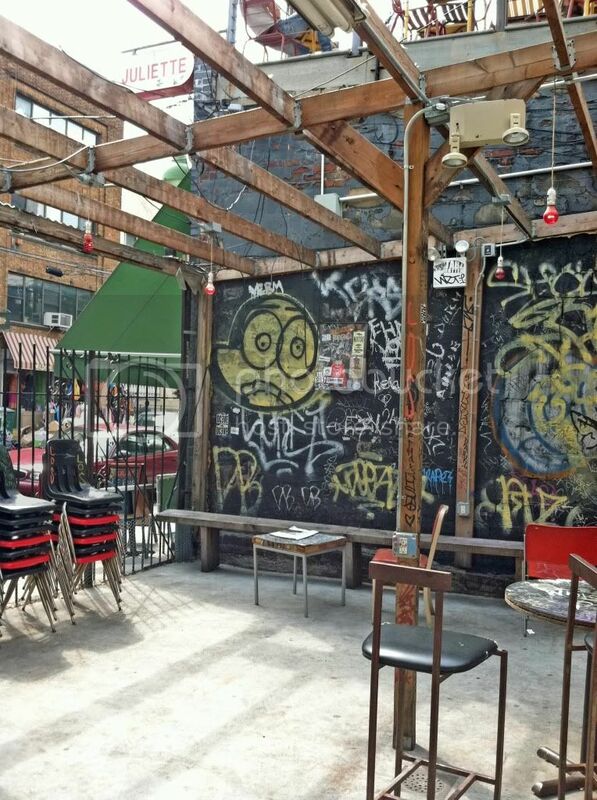 This place reminds me of the soon-to-be-gone-if-it-isn't-already Mars Bar on the lower east side of Manhattan. A legendary dive bar, that one. 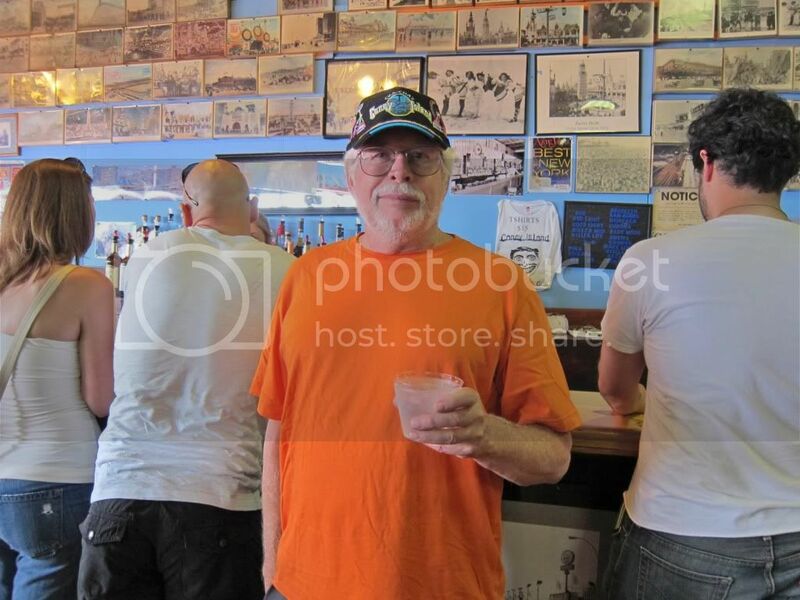 I had worked up a bit of a thirst during the walk over so I had a nice Tanqueray and Tonic, and it was one of the strongest I have ever had outside of Standup Frank's, a dive bar in Minneapolis. It might be closed now, though. That one thirst quencher turned into three and I wandered into a conversation that had something to do with the Mongols and their skill shooting a bow while riding at a full gallop. I am sure it was a very interesting conversation as well. From Cyn we hit the pier at North 6th Street and caught the ferry back to the Brooklyn Bridge Park pier. We had a bit of a walk to get home and I had to take a leak and, perhaps, squeeze in one more drink. 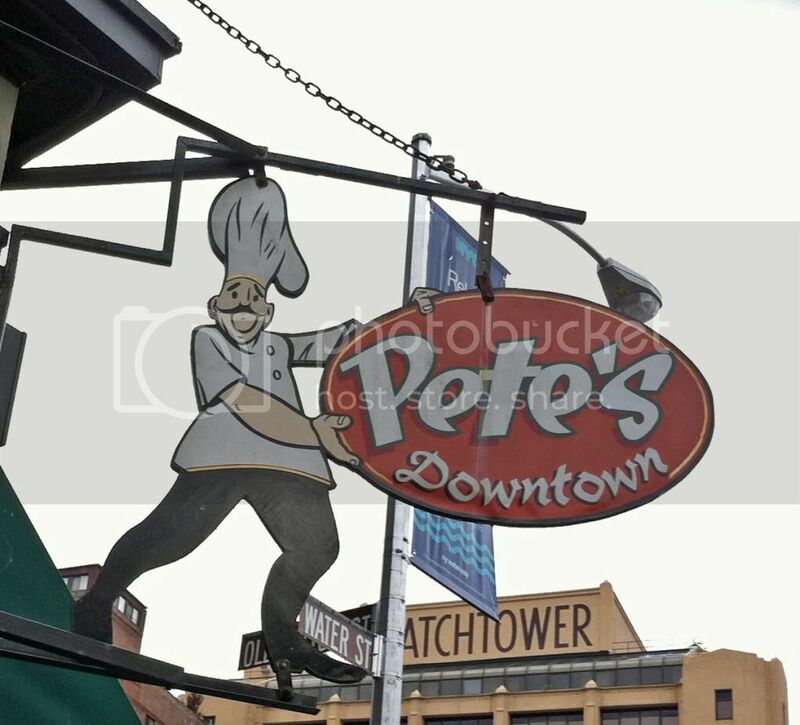 Luckily, Pete's was nearby. 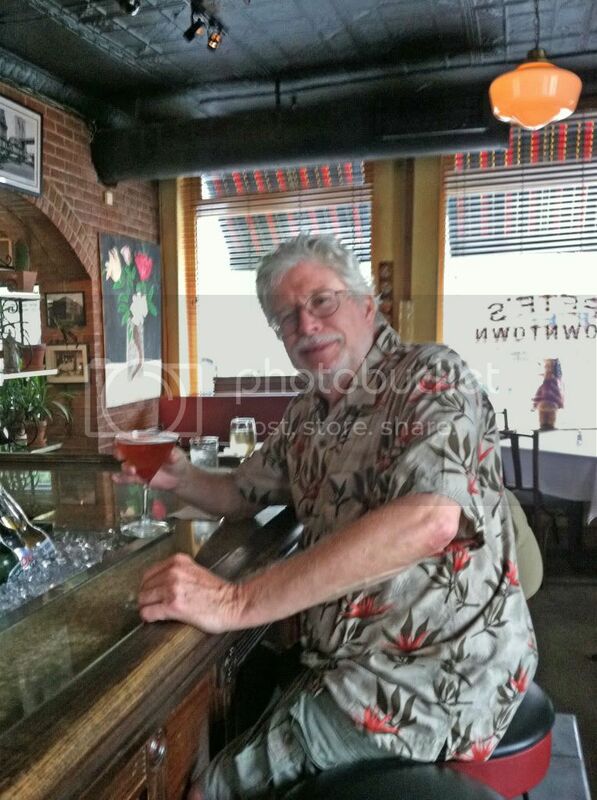 I had a Manhattan, but I don't remember what kind. 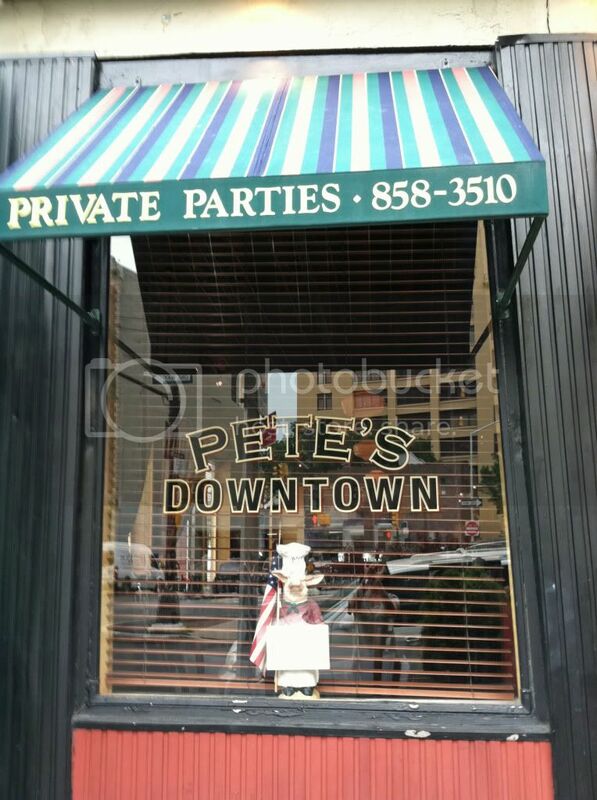 I think Pete's didn't have any Maker's Mark so I ordered something different after going through the options. I am sure it was good. 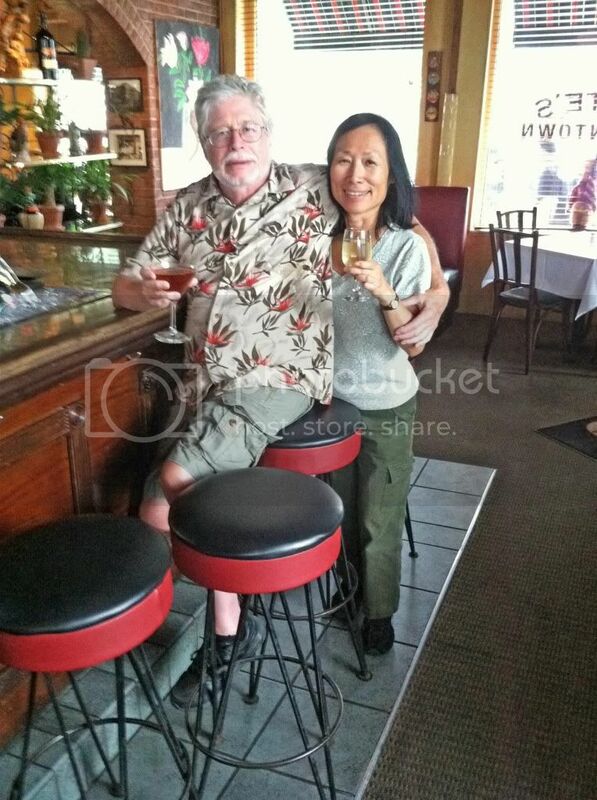 A waiter wanted to take a picture of me and the Mysterious Chinese Woman together. We try to avoid these pictures because they tend to give people the wrong idea. Then it was the long walk home. And all uphill as well. Don't make the mistake of thinking Brooklyn is flat. It isn't. Where I live, adgacent to Brooklyn Heights (it is "Heights" for a reason) we are quite above higher than waterlevel, where, obviously, we caught the ferry. I made it though. And tomorrow I will try to get the stuff from the Mermaid Parade. But don't hold your breath. There wasn't very much, mostly just pictures of crowds.